We saw some details leak out earlier this week, and Fujifilm has now gotten official with its two latest high-end compact cameras. 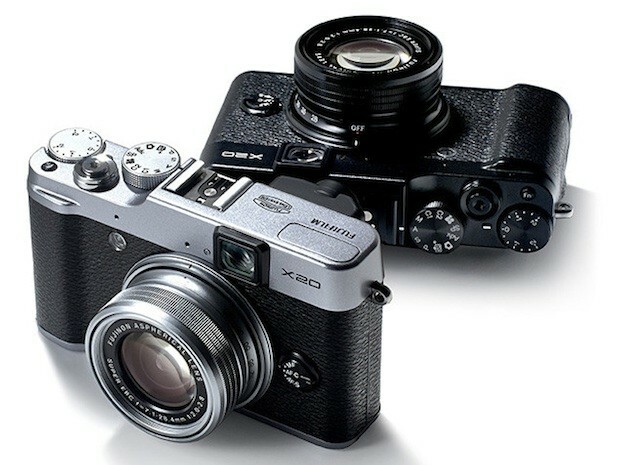 That includes the X100s (pictured above), a successor to the X100 that boasts what Fujifilm claims is the "world's fastest AF of 0.08 seconds" (compared to other cameras with an APS-C sensor and a non-interchangeable lens, at least). Otherwise, you can expect a FUJINON 23mm f/2 fixed prime lens, a 16.3 megapixel APS-C X-Trans CMOS II sensor that promises "performance comparable to full-frame output," a hybrid viewfinder that combines both an optical and EVF, and a new Digital Split Image display that displays dual images on the left and right to aid manual focusing. On the slightly lower-end is the company's X10 followup, the X20, which packs a 12 megapixel 2/3-inch X-Trans CMOS II sensor, a non-hybrid but "advanced" optical viewfinder, an f/2.0-2.8 4x manual barrel zoom lens and the ability to shoot full HD video at 60 fps -- all available in your choice of all-black or two-tone black and silver (as pictured after the break). Unfortunately, there's still no word on pricing or availability for either model -- hopefully Fujifilm will have more to say about that once CES officially kicks off.